Chippenham is a village and civil parish in Cambridgeshire, England, part of East Cambridgeshire district around 4 miles (6.4 km) north-east of Newmarket and 10 miles (16 km) north-east of Cambridge. The parish of Chippenham covers 4,300 acres (1,700 ha) at the eastern end of Cambridgeshire. It is bordered by Suffolk to both the north (where the border follows the River Kennett) and the south (where the border follows the Icknield Way). To the east it is separated from Kennett, and to the west there are borders with Fordham and Snailwell, and a short border with Isleham. 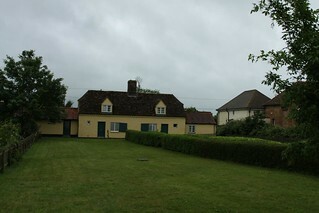 The present parish incorporates both the smaller medieval parish and the hamlet of Badlingham. Listed as Chipeham in the Domesday Book of 1086, the name "Chippenham" probably means "river meadow of a man called Cippa". Chippenham Park was created by Edward Russell, 1st Earl of Orford, MP for Cambridgeshire and First Lord of the Admiralty, who owned the estate from 1689 until his death in 1727. Russell remodelled the manor house and greatly extended the estate park which now dominates the parish to the south of the village. Royalty have visited Chippenham on numerous occasions. The first was in 1578 when Elizabeth I knighted Thomas Revett, lord of the manor at the time. William Russell's bowling green was used at times by Charles I in the 1640s and Charles II also visited in around 1669. The Earl of Orford received George I in 1717, and Edward VII was a regular visitor while Prince of Wales in the 1870s and 1880s. George V may also have attended shooting parties there. Today the manor is open for tours and as a wedding venue, the gardens are known for their daffodil and snowdrop displays in the spirng months.